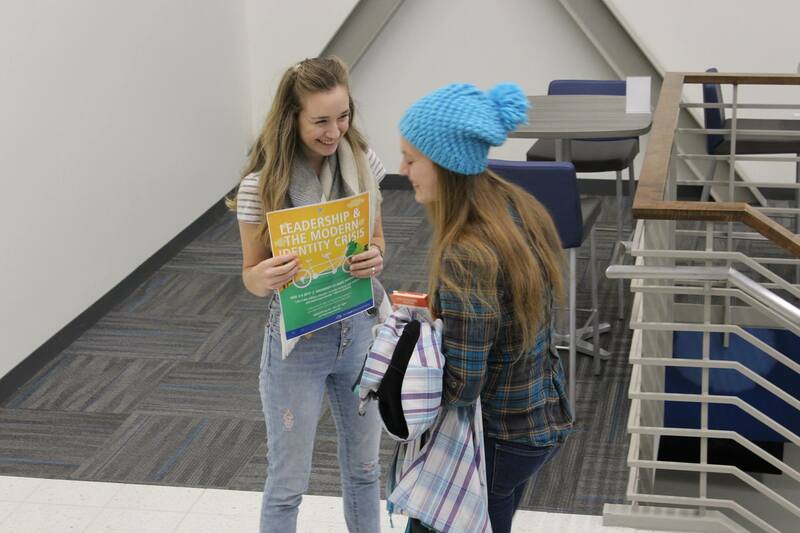 Despite below-freezing temperatures and the first snowfall of the year, the World Youth Alliance North America (WYANA) staff spent the first weekend of November sponsoring a two-day Emerging Leaders Conference (ELC) at the University of Mary in Bismarck, North Dakota, beginning what will hopefully become an annual tradition. Weronika Janczuk opened the conference on Friday evening with a lecture outlining the philosophical underpinnings of WYA’s basic mission. Her talk sought to answer the organization’s most fundamental question: who is the human person? That conversation then continued into Saturday as Weronika led conference attendees in a consideration of modern ideologies that challenge this understanding of the human person. The lecture laid the groundwork for Stacy L. Schaffer’s talk later that morning on human trafficking, which she presented as the fruit of her work with the 31:8 Project in North Dakota. In undeniable and overwhelming form, her presentation demonstrated the consequences of a skewed cultural understanding of the person but also presented hope for that misunderstanding’s correction. This hope was given further cause that afternoon as Tess Lane shared information regarding the person-centered mission of the Brilla Charter Schools Network and Weronika articulated specific WYA programs, such as FEMM and the HDC, that attempt to integrate WYA’s ideas regarding human dignity into projects and policies that make a real impact on the culture. The Brilla Charter Schools are a key NY-based partnership for the Human Dignity Curriculum (HDC). The programs described by both Tess and Weronika offered students creative and tangible solutions they could be involved in to begin to remedy that cultural identity crisis in their own communities, and attendees were given the opportunity to dialogue about how such programs worked, why they worked, and how exactly they could do their part. Laura and Isabel are also members of the university’s newly-formed World Youth Alliance chapter, a group that has finally become official on the campus after a year of planning and development. Nevertheless, the group has already had two of its members complete the FEMM Teacher Training and has begun the process of introducing the HDC to local school district leaders. 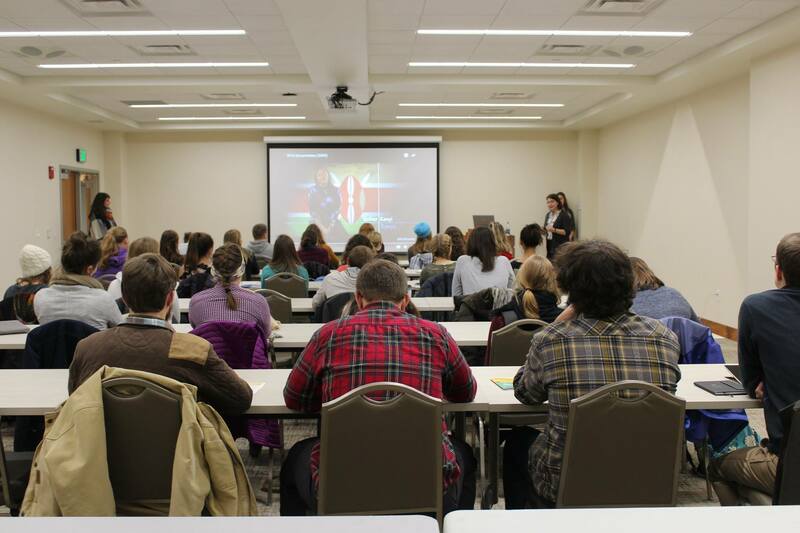 The conference served as its first major campus-wide event, and the group was very happy with the amount of interest in WYA it was able to generate. They are looking forward to hosting the ELC once again next year and are excited to see the ways in which it prepares their campus’s students to defend human dignity in their distinctive communities and professions.